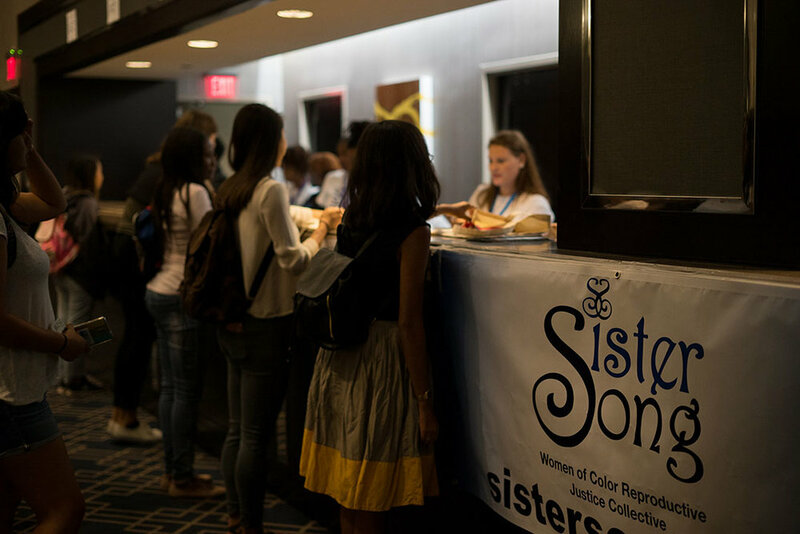 SisterSong’s mission is to strengthen and amplify the collective voices of indigenous women and women of color to achieve reproductive justice by eradicating reproductive oppression and securing human rights. 1. Support the expansion of Reproductive Justice into other social justice movements. 2. Train the next generation of feminists/activists on the evolution of the RJ framework, centering on The International Declaration of Human Rights. 3. Create spaces for our movement leaders and organizations to engage in continual professional and organizational development toward the sustainability and longevity of RJ work. 4. Provide a platform for our movement to work together collaboratively on shared policy and advocacy goals for the advancement of RJ.